Japan, the "Land of the Rising Sun" is a country where the past converges with the future. The Japanese culture stretches back to millennia, yet it is flexible to adopt and created the latest modern fashions and trends. Japan is a Country of many islands and the number goes up to 6,852. Among these four largest are Honshu, Hokkaido, Kyushu and Shikoku, which make up about 90-70 % of total Japan's land area and often referred to as home islands. The country harbors highly skilled workforce and is among the most highly educated countries in the world, with one of the highest percentages of its citizens holding a tertiary education degree. Japan is one of the developed countries with a very high standard of living and Human Development Index. Its population enjoys the highest life expectancy and the third lowest infant mortality rate in the world. Japan is renowned for its historical and extensive cinema, rich cuisine and its major contributions to science and modern-day technology. 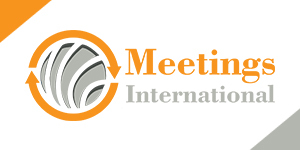 In 2018 Meetings International will be hosting altogether of 22 conferences in the cities of Osaka and Tokyo in Japan. The economy of Japan is a highly developed and market-oriented. It is the third-largest in the world by nominal GDP and is the world's second largest developed economy. It is a member of the G7. According to some recent data, Japan’s economy expanded at the fastest pace for more than two years in the three months to June, with domestic spending accelerating as the country prepares for the 2020 Tokyo Olympics and low levels of unemployment encouraged businesses to invest. The world’s third largest economy recorded an expansion in second-quarter GDP at an annualized rate of 4%, making the country the fastest-growing of the G7 wealthy nations. This is just possible because of economic freedom in Japan is buttressed by political stability and a well-maintained rule of law. Japan is not a very agriculture friendly country. The reason behind this is lack of agriculture land but the land that they do use has a very high yield and most of it stays in country. Its main crop is rice and it is heavily subsidized so that they are self-sufficient and there are high tariffs on any rice imported to decrease competition in the market. The main power behind Japan's economy is its manufacturing industry. They are world renown for being at the forefront in certain industries technologically. The areas where they enjoy the most success are:-Consumer electronics (Televisions, Mp3 players, DVD players), Automobile Manufacturing, Semiconductor Manufacturing, Optical Fibers, Optoelectronics, Optical media and Copy Machines. In order to support this large manufacturing industry Japan has focused on maintaining its infrastructure by pumping money into the amount of roads they have and by investing power in alternative means of energy so that it does not depend on foreign fossil fuels as much. Japan also has a very efficient high speed train industry that is famous for being nearly always on time. Japan also exports a great deal of things as well but by far its largest exports are automobiles and consumer electronics. Japanese automobiles are sold worldwide and are famous for being reliable and having low cost. Japan's largest export partners are also The United States and The People’s Republic of China. Japan provides the world with some of the best universities –five of which are ranked within the top 100 in the world by the QS World University Rankings 2015/2016. Because of the national focus on education, international students searching for challenging and engaging coursework should look no further. Many courses are taught or partially taught in English, making Japan more accessible to those that cannot speak Japanese. With the growing value of international programming, you will have a ton of opportunities to find exactly what you want in Japan. In 2008, Japan published the “300,000 International Students Plan” to make Japan more accessible and open to international students. This plan aims to have accepted around 300,000 international students by 2020, meaning they are looking to accept over 100,000 international students in the next five years. Due to the efforts to bring foreign students to Japan, companies are looking to hire international students after graduation. Companies especially want for Engineering, Information Technology, Investment Banking, and Education graduates, but as Japan is attempting to push further into the global market more and more opportunities to live and work for a Japanese company in other parts of the world are also appearing. In May 2015 the Japanese government publicized plans to assist international students in the job search by providing universities with internship and hiring information targeted towards international students. Overall, Japan offers loads of opportunities to international students like you looking for a future job! Research and development are important to the Japanese economy. As its economy matured in the 1970s and 1980s, Japan gradually shifted away from dependence on foreign research. Japan's ability to conduct independent research and development became a decisive factor in boosting the nation's competitiveness. As early as 1980, the Science and Technology Agency, a component of the Kantei (office of the Prime Minister) announced the beginning of "the era of Japan's technological independence. Today, after two decades of economic stagnation, Japan's vitality and dynamism is almost palpable. As part of the government’s revitalization strategy, the country has set its sights on strengthening efforts in research and development, improving health technology and services, and elevating the status of its universities as well as reaching out globally for knowledge sharing and talent circulation. Science and technology research has been a reliable pillar of the Japanese economy. The steadily increasing national research budget acknowledges the importance of research and development (R&D) for the country as well as its role in finding solutions to Japan's urban, environmental, and economic challenges. Transport in Japan is modern and highly developed. Japan's transport sector stands out for its energy efficiency: it uses less energy per person compared to other countries, thanks to a high share of rail transport and low overall travel distances. The main international gateways are Narita International Airport (Tokyo area), Kansai International Airport (Osaka/Kobe/Kyoto area), and ChÅ«bu Centrair International Airport (Nagoya area). The main domestic hub is Tokyo International Airport (Haneda Airport), Asia's busiest airport and the world's 4th busiest airport; other major traffic hubs include Osaka International Airport, New Chitose Airport outside Sapporo, and Fukuoka Airport. Japan has an efficient public transportation network, especially within metropolitan areas and between the large cities. Japanese public transportation is characterized by its punctuality, its superb service, and the large crowds of people using it. Japan is an island nation in the Pacific Ocean with dense cities, imperial palaces, mountainous national parks and thousands of shrines and temples. Shinkansen bullet trains connect the main islands of Kyushu (with Okinawa's subtropical beaches), Honshu (home to Tokyo and Hiroshima’s atomic-bomb memorial) and Hokkaido (famous for skiing). Tokyo, the capital, is known for skyscrapers, shopping and pop culture. Some of the key attractions from Japan are: Tokyo Imperial Palace, Kiyomizu-Dera Temple, Great Buddha of Kamakura, Jigokudani Monkey Park, Himeji Castle, Hiroshima Peace Memorial, Todaiji Temple, Golden Pavilion Temple/ Kinkaku-Ji, Tokyo Tower and Mount Fuji. Attend Meetings International conferences in Japan and get an opportunity to explore its attractions.